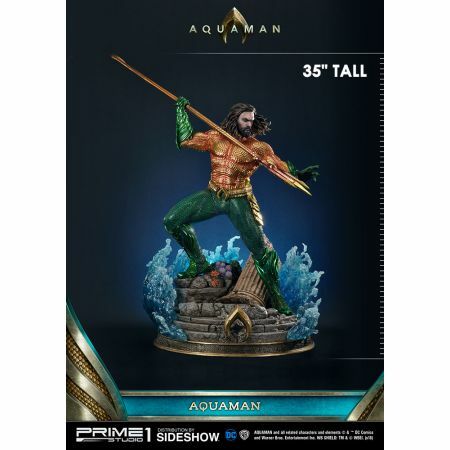 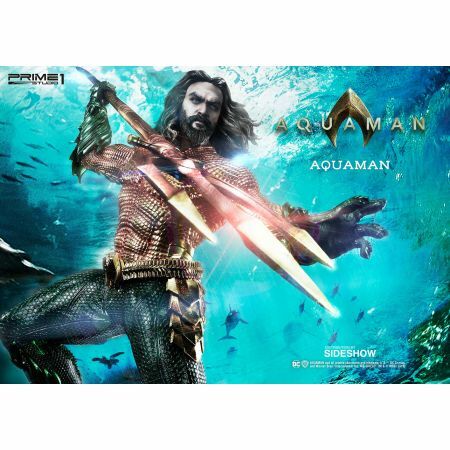 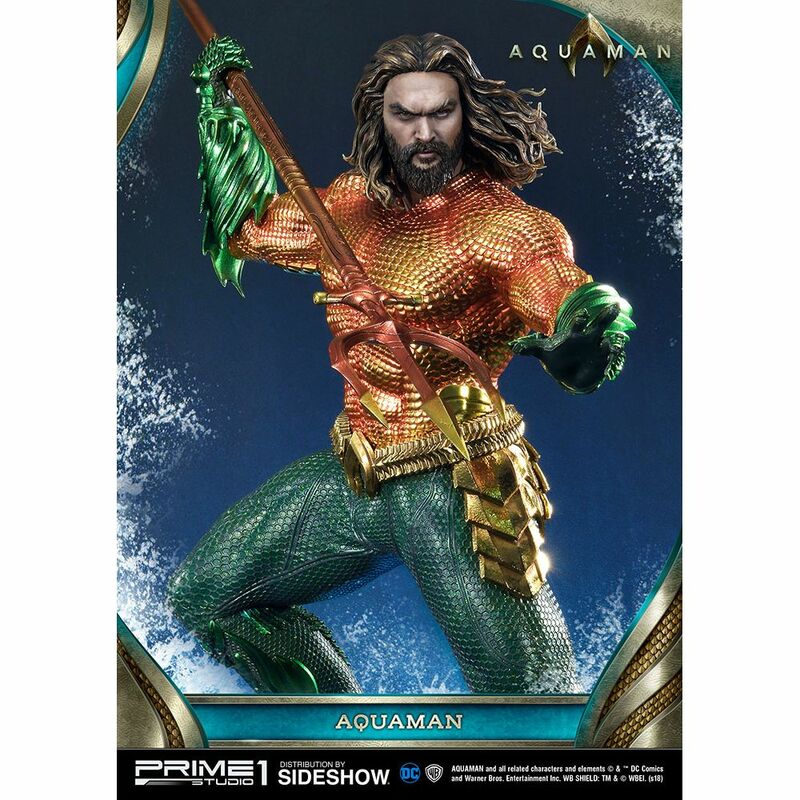 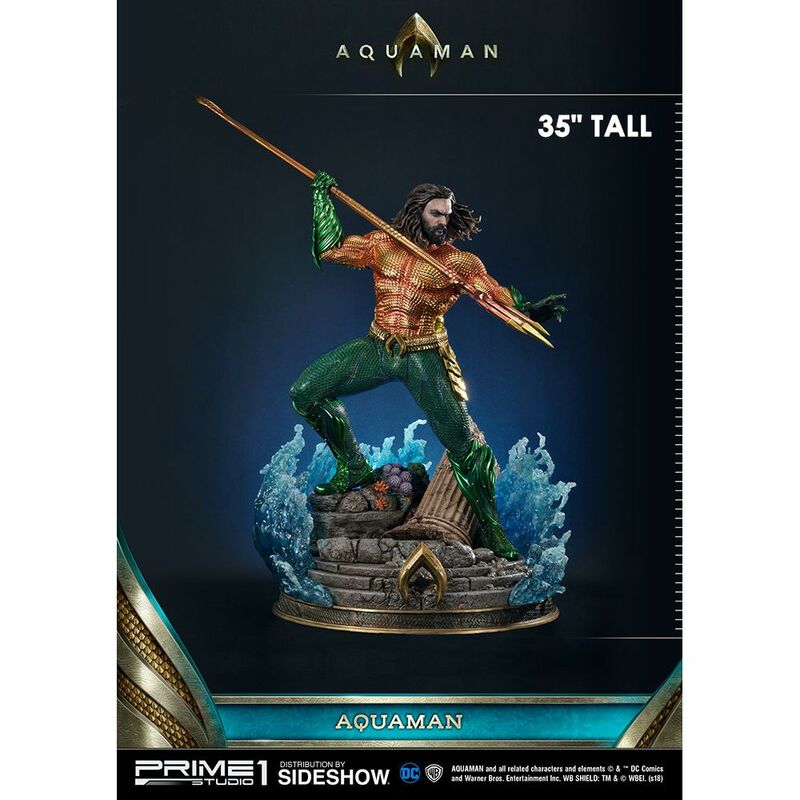 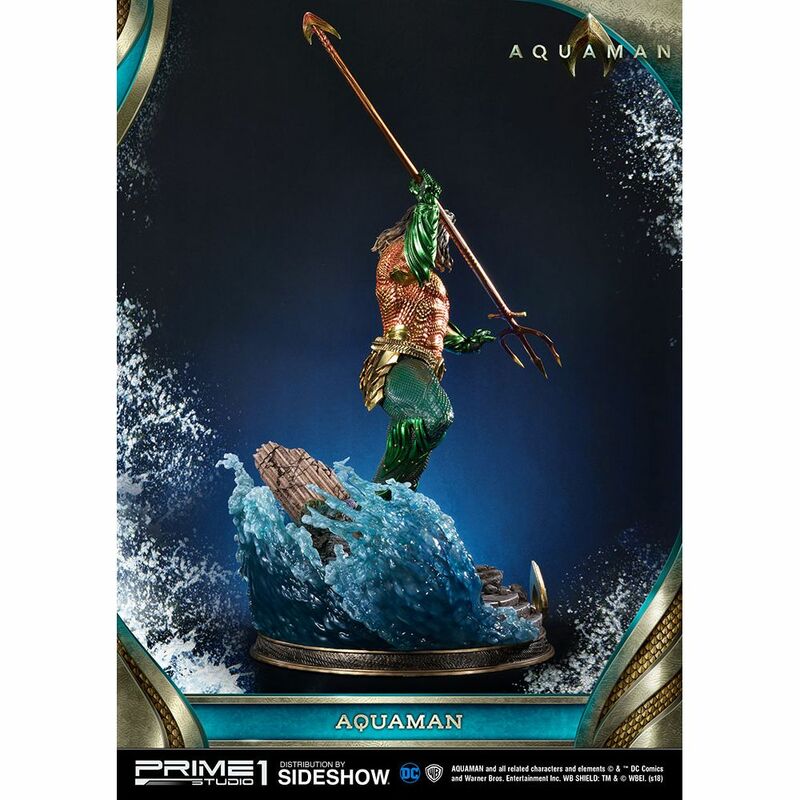 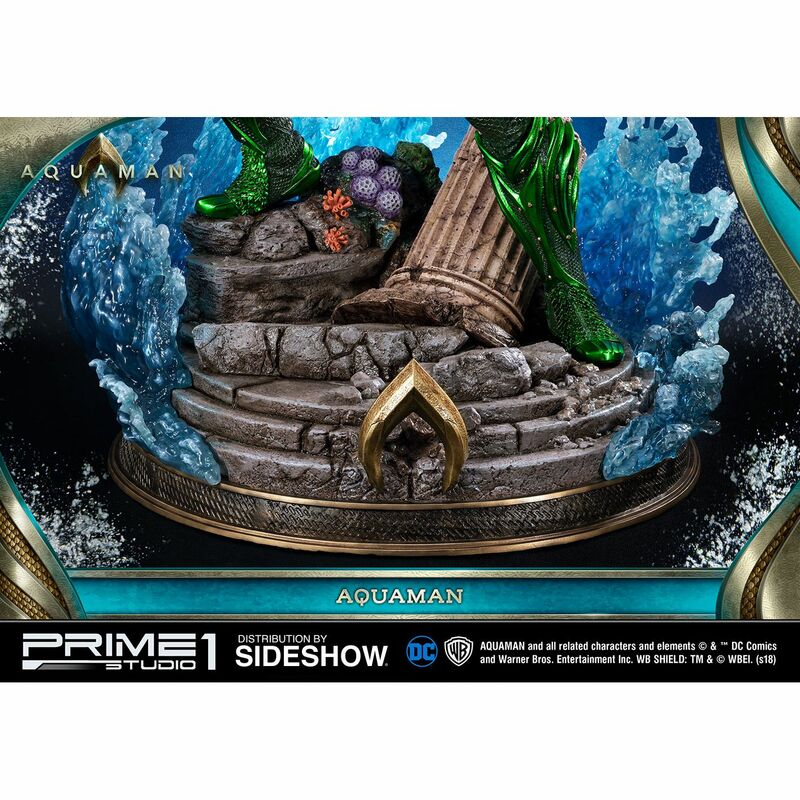 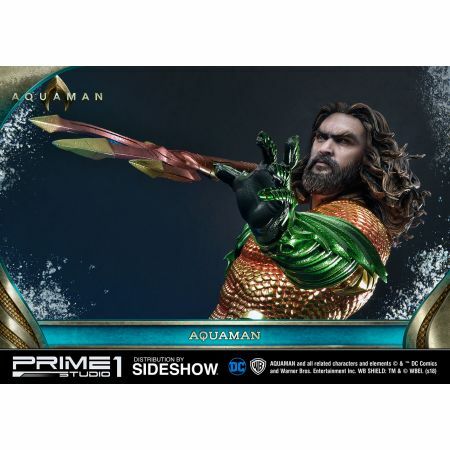 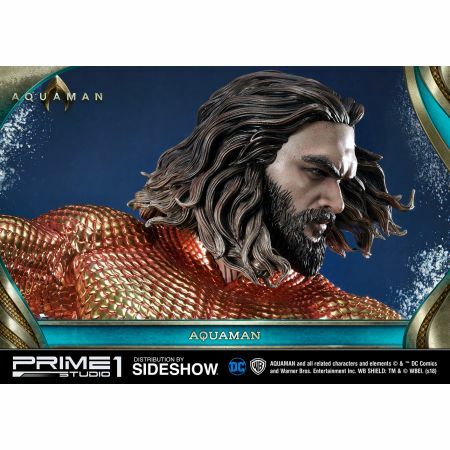 Sideshow and Prime 1 Studio are proud to present the Aquaman Statue from the 2018 movie Aquaman featuring Jason Momoa as Arthur Curry - King of the Seven Seas. 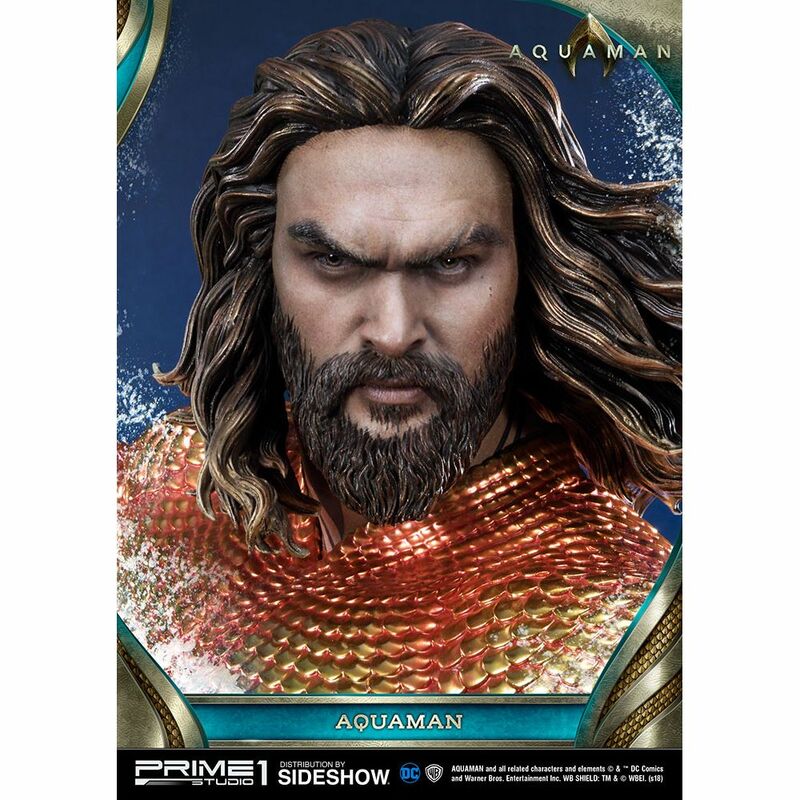 Born with the Atlantean name Orin, Arthur Curry is the crown prince of Atlantis also known as the superhero, Aquaman. This statue portrait is carefully sculpted based on Jason Momoa’s likeness from the film. Arthur Curry is holding in his right-hand the ancient Atlantean relic, also known as the Trident of Atlantis, wielded by the ancient King of Atlantis, Atlan. 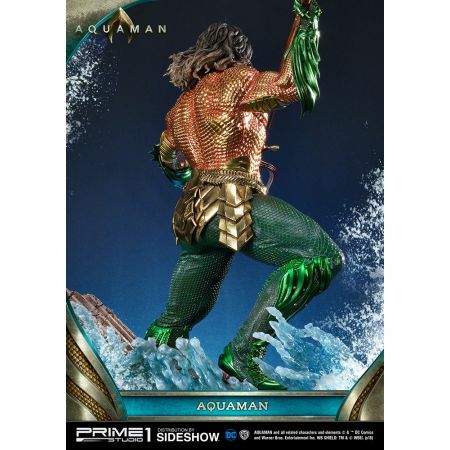 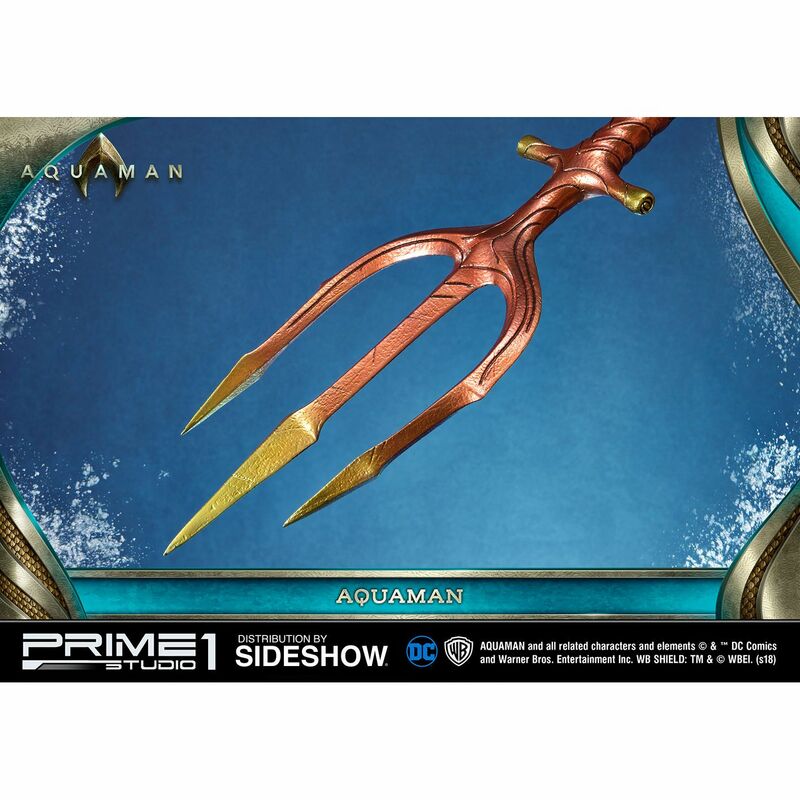 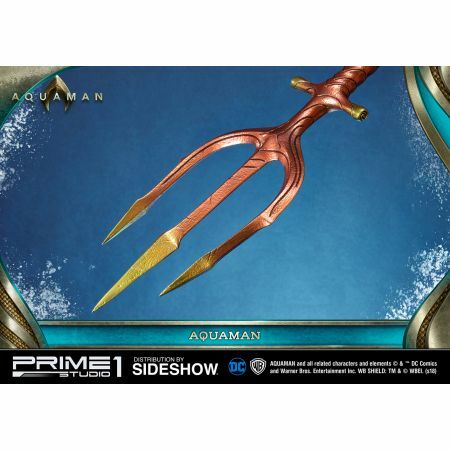 This Aquaman statue is intricately sculpted with movie-accurate attention to detail, gold chrome armor finish, sparkling effect on the pants and an iconic designed base. 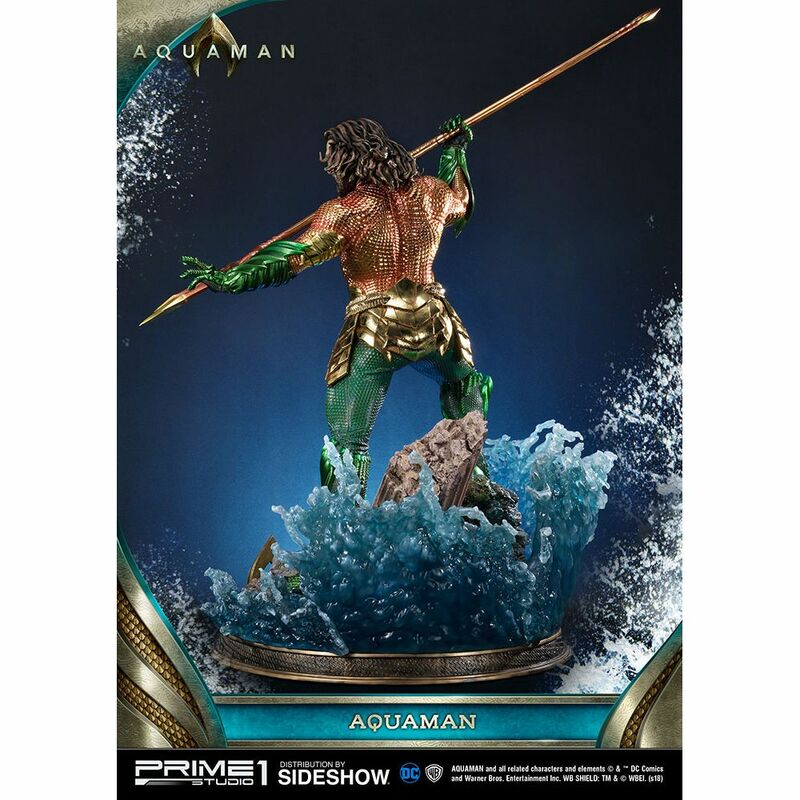 Aquaman fans, This is a must-have statue to add to your DC Comics collection.